Think of yacht vacations as a floating 5-star resort where your view changes each day. It is the ultimate in luxury, privacy and service. The cuisine is what you requested and all meals are truly gourmet since they are prepared by a professional chef. And, most of, the ports of call are the ones you choose. 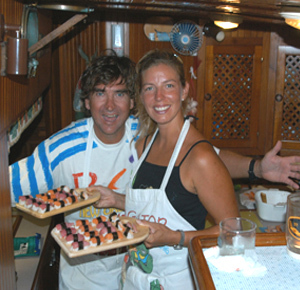 Yacht vacations on board Crystal Clear offers the best in sailing that the industry has to offer. A yacht charter vacation is unlike any other.